The Czech Literary Centre, a section of the Moravian Library in Brno, publishes a series of promotional brochures focusing either on new books in various genres, or on a specific topic over a particular period. The New Czech Books brochures come out every six months and present new titles in Czech literature. These English-language handbooks are mainly used by foreign publishers, translators, agents and students of Czech literature. Selected titles are accompanied by English translations of excerpts on the CzechLit website. 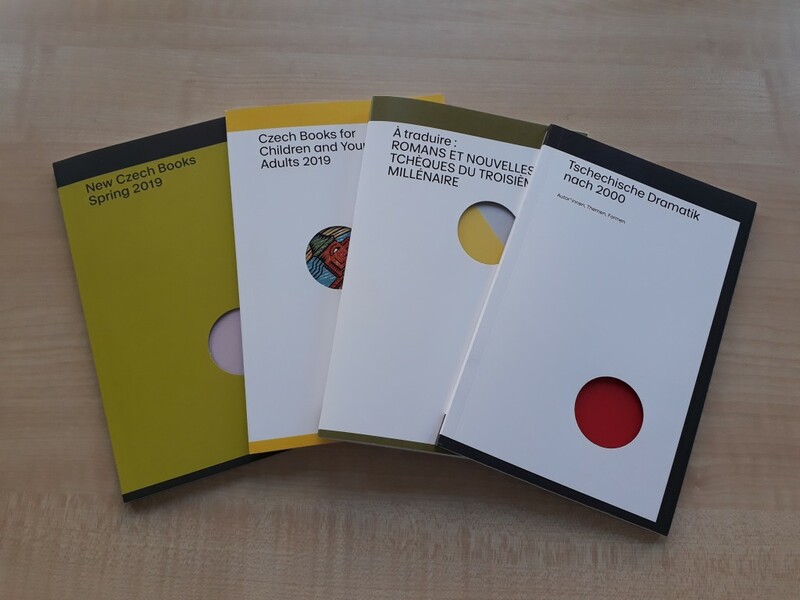 The latest additions to the Czech Literary Centre information brochure portfolio are New Czech Books: Spring 2019 as well as a brochure focusing on Czech literature for children and young adults and Czech drama. Czech Books for Children and Young Adults 2019 is an English-language selection of new Czech children’s books, with an introductory essay by a renowned expert in this field of literature, Jana Čeňková. The German-language overview of Czech drama since 2000, Tschechische Dramatik nach 2000, has been prepared by the foreign expert Barbora Schnelle. The new publications by the Czech Literary Centre also include a selection of outstanding Czech prose titles published after 2000, which have not yet been translated into French and could in the future enrich the picture of Czech literature in French-speaking regions. The selection À traduire : Romans et nouvelles tchèques du troisième millénaire is accompanied by an essay by Alena Fialová, a literary historian from the Institute for Czech Literature.